To register more people, please add each additional participant as a "Guest" (child and/or adult). 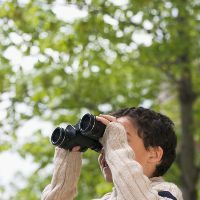 Adults and families with children 10 and up- join in the Great Backyard Bird Count! Participate in this important citizen science project to tally the birds who live at TNC. Join a Tenafly Nature Center Environmental Educator for a short review of key bird identification marks. The group will observe birds at our feeders, followed by a short walk on the trails to look for birds that winter at Tenafly Nature Center. Participants will log and count the birds observed and results will be submitted to the Great Backyard Bird Count at gbbc.birdcount.org. Children must be accompanied by an adult. Bring binoculars if you have them; if not we can loan you a pair. Rain or shine.